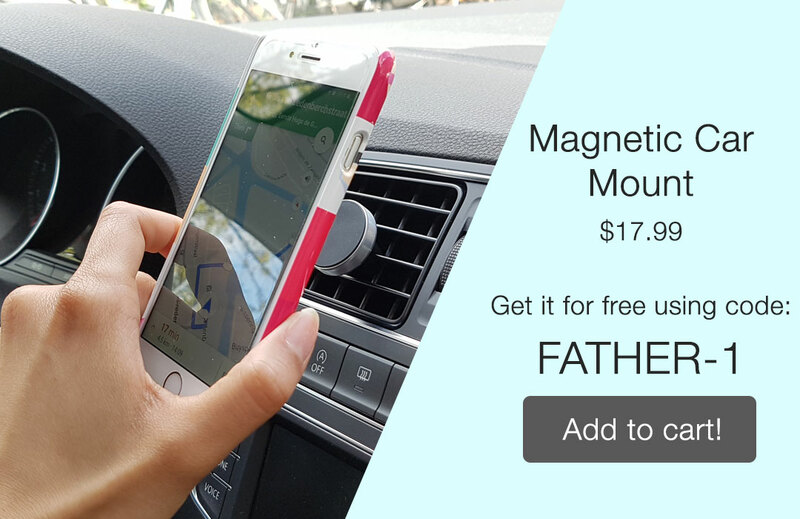 Order a phone case for Father's Day and get a FREE Gift! This year, we help you complete your Father's Day gift with one of these amazing products. Make dad proud with a custom phone case with your favorite picture together, guaranteed to be a gift he would love. Place an order above $24 and receive one of our FREE Gifts! How can I get my FREE gift? 1) Choose a phone case and custom it with that picture that dad loves. Once you're done, add it to your cart. 3) Go to the checkout page and add the discount code to get your gift for free. 4) Receive your order at home and make dad happy! Our only conditions? Your order must have a minimum value of $24 and you can only choose 1 free gift per order. Order fast! Products available while inventory lasts. CHECK OUT OUR FREE GIFT BELOW! This gift will definetely come in handy when your dad takes his car and need to keep his hands free! An everyday accessory that is easy to carry and best of all, doesn't need batteries! 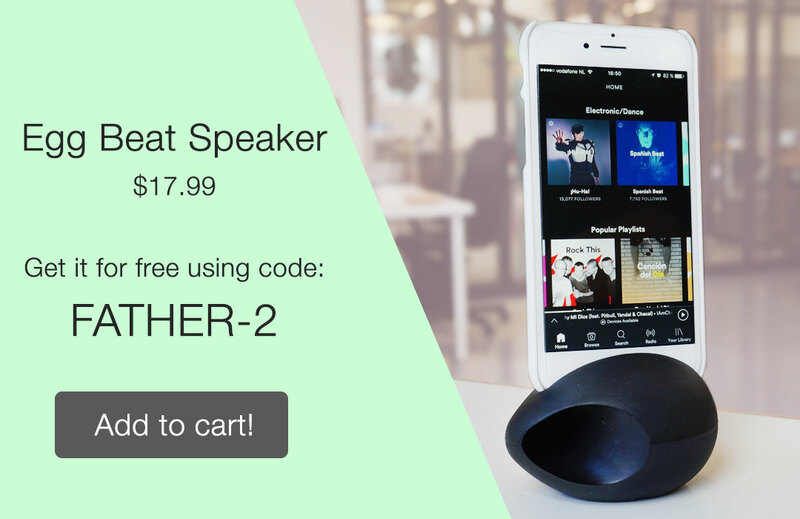 Enjoy hours of music without having to carry cables or extra chargers. Egg Beat compatible with: iPhone 6(S), iPhone 7, Samsung Galaxy S6 (Edge), Galaxy S7 (Edge). If you just bought a phone case with us it means that you want to protect your phone in style. 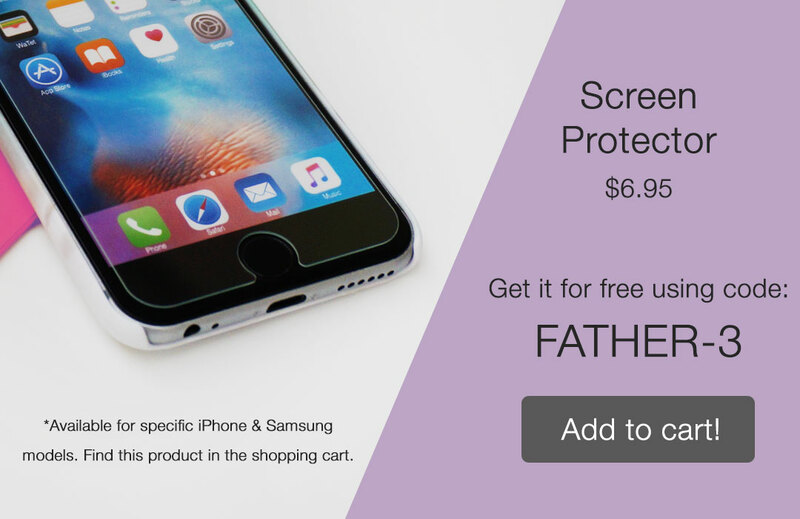 Give full protection to your phone with a screen protector! Check below the compatibility of this product since it is available for certain iPhone and Samsung models. Screen protector is compatible with: Galaxy J5 2016, Galaxy J3 2016, Galaxy S7, Galaxy S6, iPhone: iPhone 5, 5S, SE, iPhone 6, iPhone 6 Plus, iPhone 7, iPhone 7 Plus.